I rarely take note of celebrity gossip these days, but I was saddened by the latest chapter in the Paul Gascoigne saga that unfolded this week. Gazza is a sporting icon, fallen from grace. A tragic comic, some might say. Others, who only remember the antics, might argue the accuracy of the word “grace”, but not those of us who prefer to remember his skill. Despite historic bitterness and rivalry between fans of our region’s top flight and Championship football clubs, there are some characters who transcend that and are loved and admired for their sporting skill and achievements, regardless of what team you support. As a Sunderland season ticket holder, I have no qualms about putting Gazza at the top of that list, alongside Sir Bobby Robson. Gazza is such a character that it is difficult not to be on his side through all the troubles he has experienced and it was heartening to see the positive side of social media, as people flocked to wish him well after this week’s tabloid tale. But let’s examine that tabloid tale for a moment. It’s fair to say that when Celebrity X walks out of a club on the arm of Celebrity Y, in front of a group of paparazzi, or Couple Z (list) are snapped on the beach, it’s planned to get the attention of the media. These things rarely happen by accident. Yes, Gazza and celebrity pals, even the non-celebrity friends, played that game in the day. When a celeb is snapped in a place that you wouldn’t normally expect to find a tabloid photographer, have a think. Does the celeb come out of this well? Yes? Someone on their “team” probably tipped off the photographer. Does the celeb look a state and come out of it badly? Yes? Someone else did. 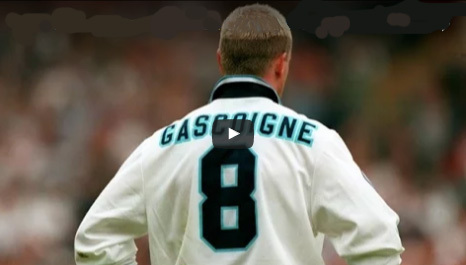 It’s fair to say that Gazza was stitched up on this occasion. If not by a professional photographer, then by a “citizen snapper” with a smartphone and an eye for a quick buck at someone else’s expense. Yes, we can all see how heartbreakingly tragic a situation his life has become over the years. Yes, he undoubtedly went out in a dressing gown (sadly, so many people do these days) and I don’t see any point in disputing that it may have been a trip for booze and fags. I don’t even dispute the fact that it is of public interest that someone who is so loved by the British public has fallen so far. What needs to be considered is the staging of such “shame” pictures that can do nothing but add to the troubles of Gazza. Mental health and alcohol issues should be treated far more sensitively in the modern age. Gazza has talked about his problems in the past. Let those words be the lesson learned from the fall of a great footballer and entertainer, not these pics of “sick Gazza” in the street in a dressing gown. Sadly, there are too many people out there ready to leap on such imagery and mock someone when they are down and out. It’s time to treat mental health more compassionately and not as a sideshow.